Executive Committee of SCBA had a detailed meeting today with the Hon'ble Chief Justice of India, at his residence where several issues of importance were reportedly discussed. 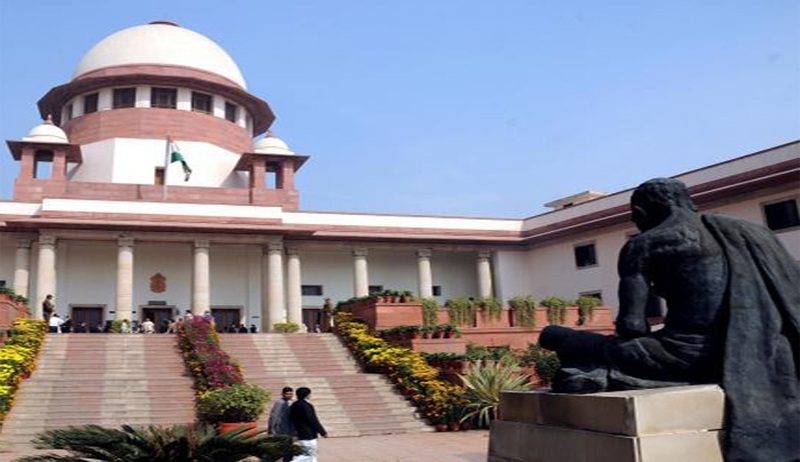 The association says that the CJI was very “receptive and positive about all the infrastructural issues raised by us and assured his full support and cooperation towards their expeditious redressal.” The circular also cautions the members “Members are also requested to be very careful and discerning before issues pass slips to clients/visitors and not leave it to be given out by their office/clerks, so that there is no possibility of misuse.”The circular further requests the Members to be extra cautious and report any suspicious activity/article immediately to the undersigned or the Control Room and concerned authorities. Supreme Court Judge who penned the final order on the plea by Yakub Memon, had received death threats from unknown people. In view of that Chief Justice had called for a detailed analysis of the security requirements of the Supreme Court and its premises and put in place necessary arrangements to make the security as fool-proof as possible. The recent proposal may be part of those security arrangements. SCBA has been cooperating with these security arrangements and had taken following measures. Entry in the High Security Zone can be made only with a proximity card or proper pass.Proximity cards/passes to be kept ready and shown even at the main entrance while entering through the vehicles.Proximity cards/passes have to be displayed by the lawyers while entering the court rooms. Earlier this requirement was only for the clerks, visitors and interns.Vehicles have to parked strictly in the parking zones and specifically designated spaces inside the Supreme Court premises, in front of chamber blocks, ILI or newly created parking near Gate No.7-8 at PragatiMaidan. Vehicles parked in no parking area will be strictly towed away.